Windows 10 and Xbox One (S & X) support movies, [TV] series and games in Dolby Atmos. We help with setup and often-occurring first sound issues. Modern sound bars work with additional speakers, which direct Atmos sounds towards the ceiling. The room reflects the sound from above back to the viewer. Whoever wants to use Dolby Atmos needs the right player besides the TV and compatible sound hardware (AV receiver or sound bar). Very common are PCs, Laptops or HTPCs with Windows 10. Additionally popular are the Xbox One including the upgrades Xbox One S and X. In our guide, we assume that your home cinema amplifier or the sound bar are already configured for Dolby Atmos. This means, suitable Blu-rays and UHD-Blu-rays are played correctly with Dolby Atmos by the player. Likewise, computer and console [software] need to be up-to-date. Besides setting up the player, we concentrate on the use of games, streaming services and local files, where a lot of stumbling bocks threaten to come up. Connection for Dolby Atmos: Only HDMI! Usually, only HDMI is suitable as connection between sound hardware and player. On the device, you search for the output on the backside of the casing. 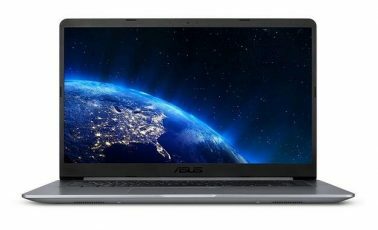 It is either on the slot cover of the graphics card or close to the usb connections of the mainboard, if you use the integrated graphics of a current Intel or AMD processor. On Windows 10 as well as Xbox One you now need the app Dolby Access. It is available in the Microsoft Store for both platforms. Dolby Access integrates Atmos surround sound in Windows 10 as well as Xbox One and offers demo material in the 3D sound format. Under Windows, you set the display output to the AV receiver or the sound bar, to which the TV should also be connected. 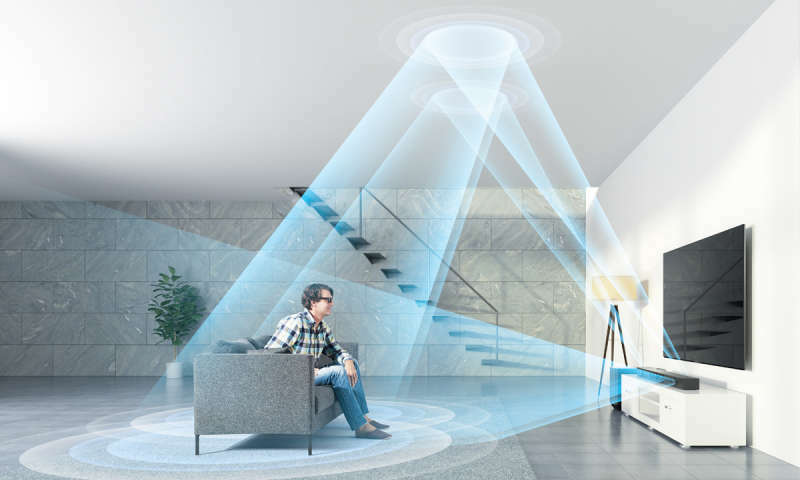 If the signal goes first to the TV and from there to the AV receiver, it is possible that the TV cannot handle the Atmos format and you don’t hear anything. Sound Format for Dolby Atmos: Only Bitstream! 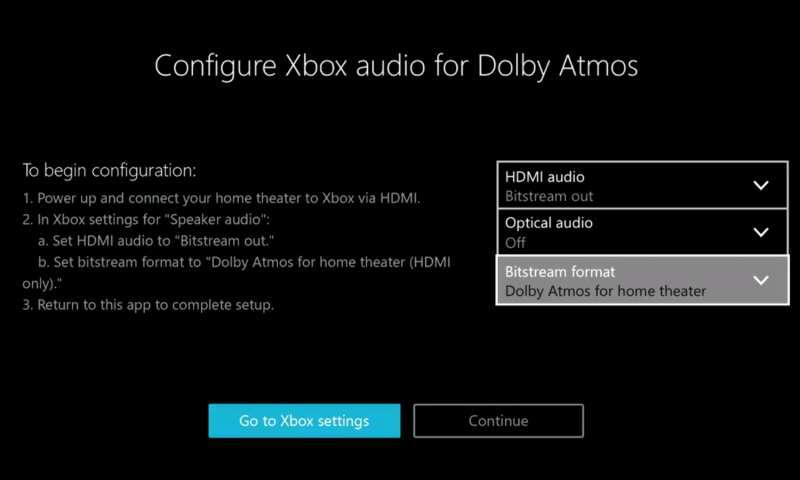 Dolby Access shows how the settings for sound have to be on the Xbox One to hear Dolby Atmos. You don’t have to be put off by the in-app purchases in Dolby Access. If someone only needs the general support for Windows 10 and the Xbox One, they can do without the unlocking of “Dolby Atmos for headphones” after the integrated test phase. Once the app is installed, it will set up the computer and the Xbox one. Configure your system for home cinemas (“Dolby Atmos for home theater”). Choose the according option in the sound settings of Windows 10, as by the instructions in the app. Make the AV receiver or sound bar the output device. A change to bitstream sound is not available under Windows 10 in regard to Dolby Access, but also not needed. Note: If someone wants to watch not only Dolby Atmos, but at the same time also 4K movies with HDR under Windows 10, they need, besides a compatible TV, a further app. Specifically, users of Windows 10 need the HEVC codec, which Microsoft does not integrate directly in the operating system anymore since the Fall Creators Update. On the Xbox One, on the other hand, under the settings for “Display and Sound”, you have to change the HDMI audio output to “Bitstream out”. The optical output is irrelevant. Instead, you can configure the bitstream format: There, you choose “Dolby Atmos for home theater”, similar to Windows 10. If one does not change this to bitstream, it’s possible that the sound does not appear. For instance with videos, games and music which are not with Dolby Atmos sound. While the Xbox One – once set to Dolby Atmos – will output a continuous Atmos signal, Windows 10 will only respond to Atmos signals. Alternatively, the AV receiver or the sound bar can just output stereo. The solution: You change the output according to the hardware: Stereo, 5.1, 7.1 and so on. The sound hardware should recognise the signal when it’s a multi channel signal and accordingly, you can still reproduce non-Atmos content correctly, even if the AV receiver or the soundbar may not indicate the usual Dolby Digital or DTS. This has just license related reasons. At the PCM signal which gets through, nothing is wrong in the case of 5.1 and 7.1. It is important that you configure your sound equipment for multichannel PCM output then, and not choose one of the options where, for instance, stereo signals are processed into Dolby Surround or such. Tip: Besides Xbox One and Windows 10, Atmos signals can be reproduced by some Android TV boxes. 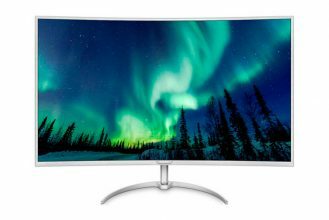 Two of those, which also offer 4K codecs and HDR, we compare in the following duel. If you followed our tips, basically all problems of the player with Dolby Atmos should be resolvable. Use HDMI cables and change to bitstream output (Xbox One) or the correct sound format (under Windows 10). If a video (under Windows 10) has no Atmos soundtrack, choose the respective configuration according to your speaker setup. On the part of the players, you now have all the requirements fulfilled. Where do I get Content with Dolby Atmos? Demo material you find among others at Netflix. Dolby Atmos movies and [TV] series are still rare. You can also find Atmos content on Amazon Prime Video, on some Blu-rays and of course nearly always on 4k Blu-rays. Online, you will quickly find different collections with trailers or other demo material through search engines. Sound specialists will inform you directly about games in Dolby Atmos on their own websites. Next NordVPN Review: Is it the best VPN?